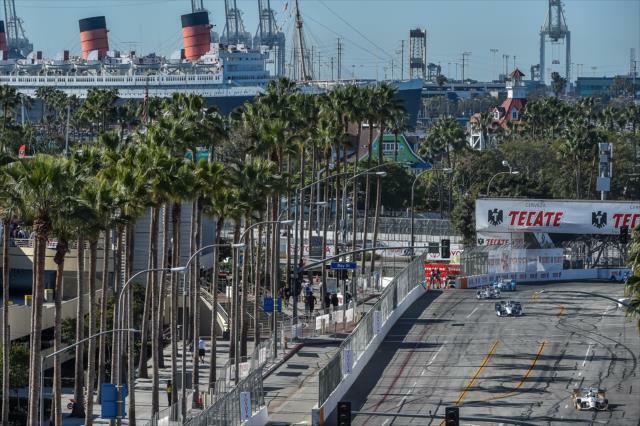 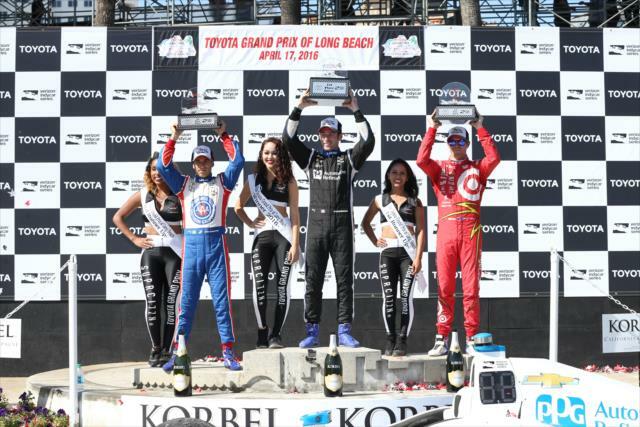 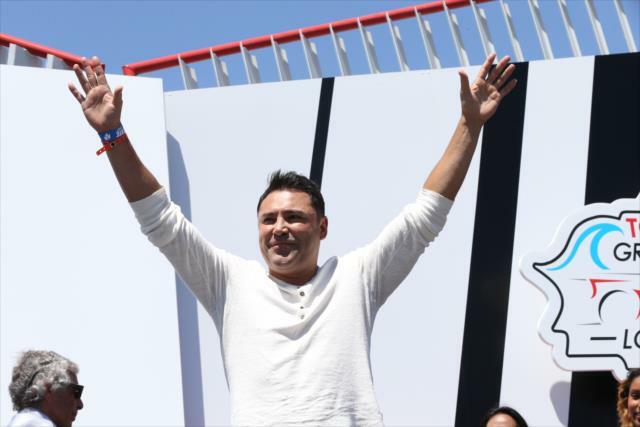 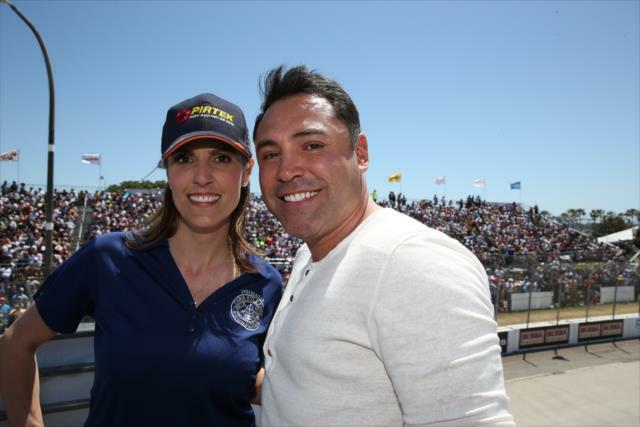 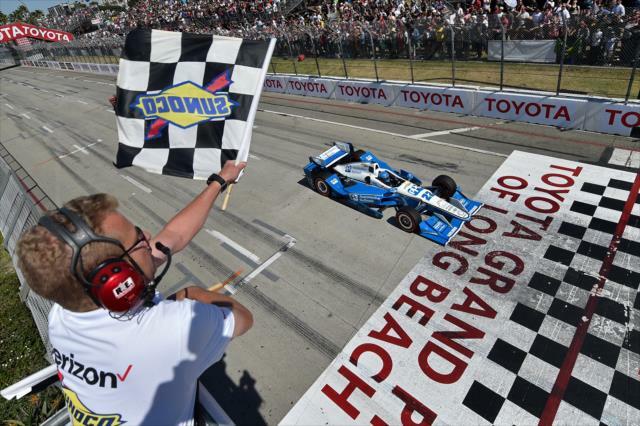 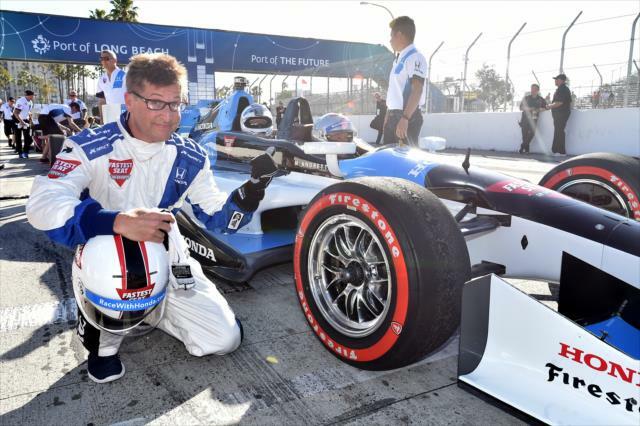 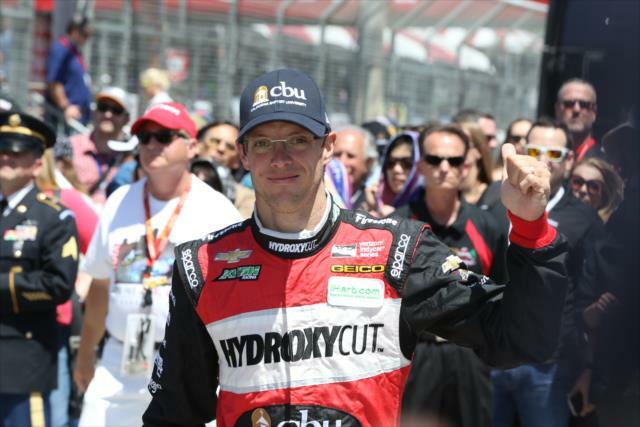 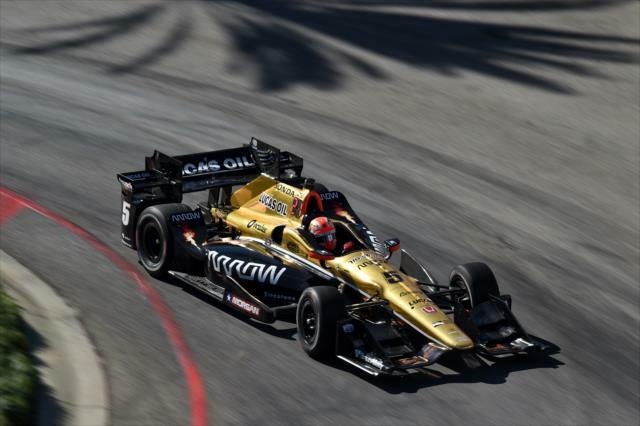 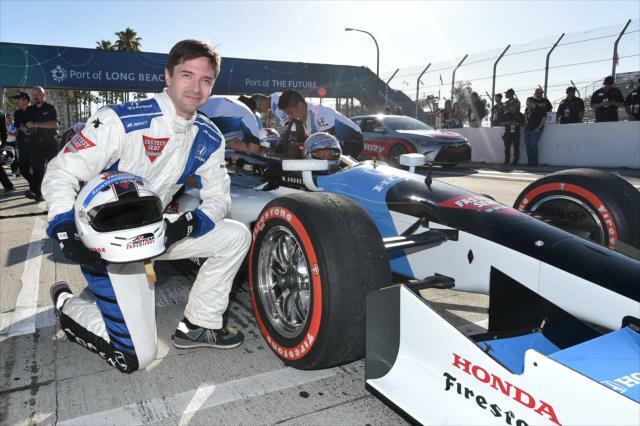 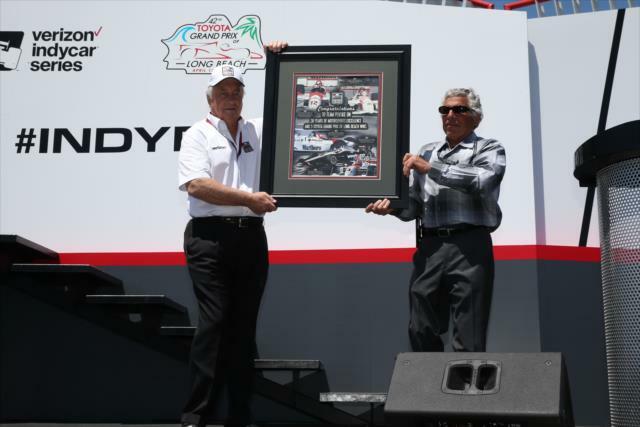 LONG BEACH, Calif. – Renowned for its glamour and stardom, the bright lights of Southern California were joined this weekend by the history, pageantry and outright speed of the Toyota Grand Prix of Long Beach. 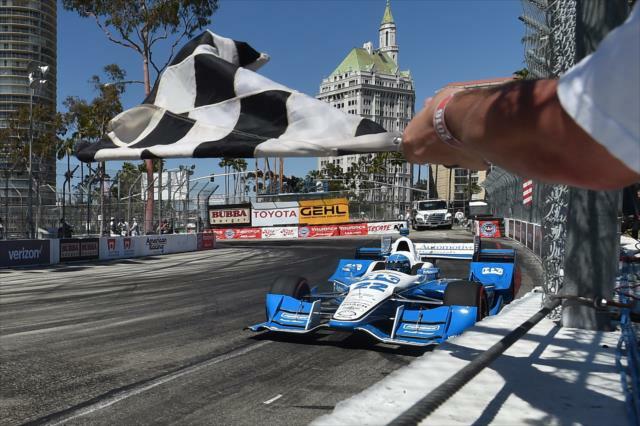 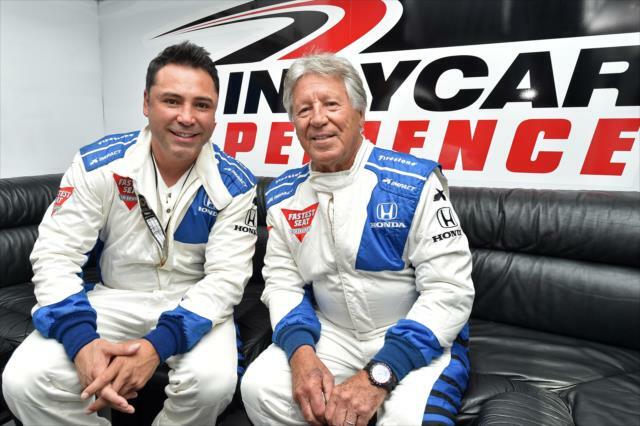 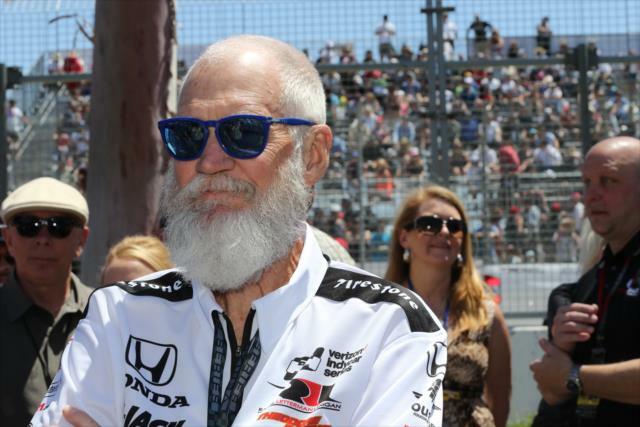 And with the Verizon IndyCar Series making its 33rd appearance on the storied street circuit, it was of little surprise to see another historic race unfold. 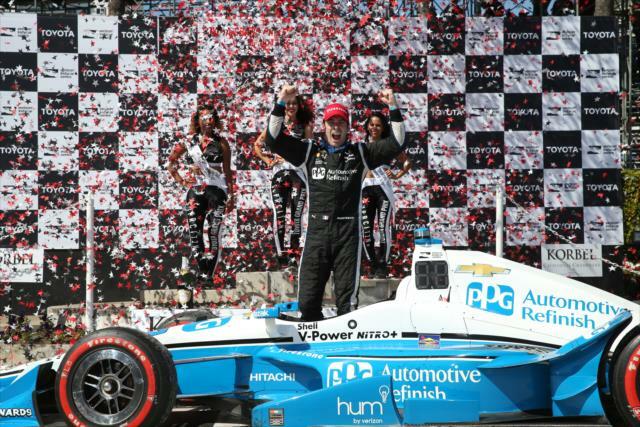 In just the fourth Long Beach race to run without caution, pit strategy earned Simon Pagenaud the lead in the waning stages and the Team Penske driver held off Chip Ganassi Racing’s Scott Dixon to win the fastest Toyota Grand Prix of Long Beach by the narrowest margin of victory in race history. 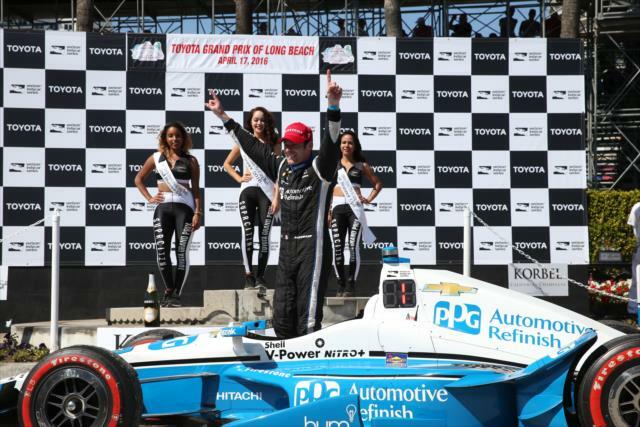 It is Pagenaud's fifth career win and first since joining Team Penske since 2015. 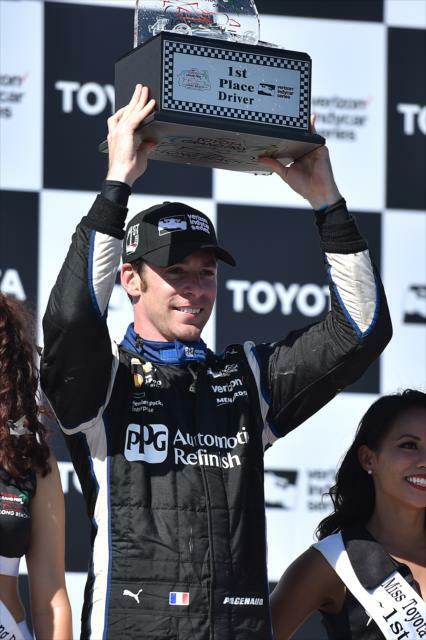 Pagenaud’s No. 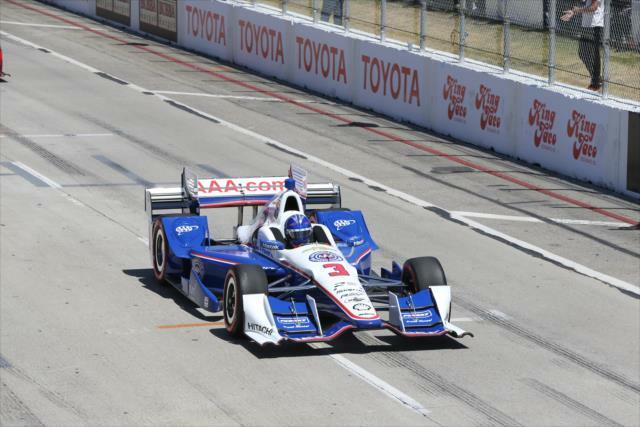 22 PPG Automotive Refinish Chevrolet started the race from third, behind Dixon’s No. 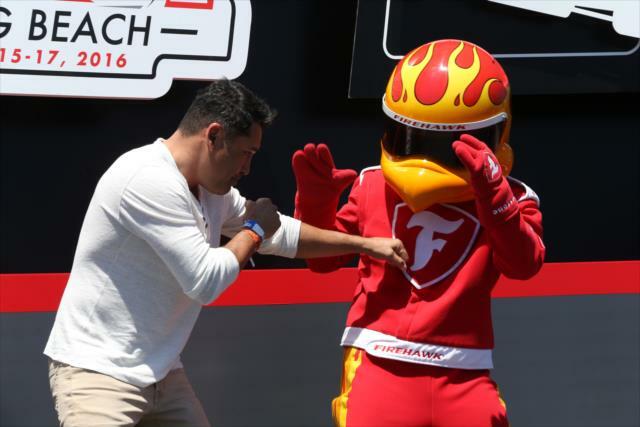 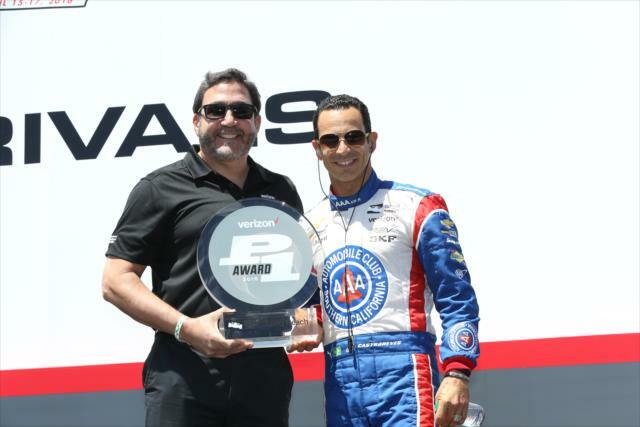 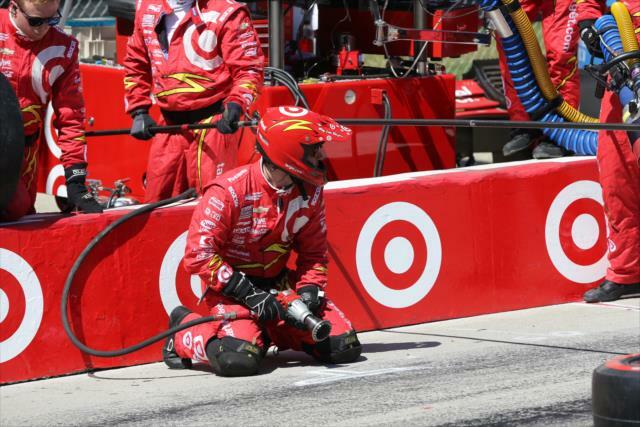 9 Chip Ganassi Racing Target Chevrolet and Team Penske teammate Helio Castroneves (No. 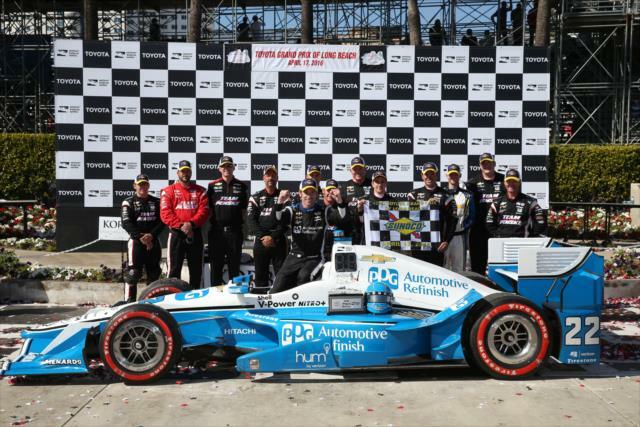 3 Auto Club of Southern California Chevrolet), who sat on pole for the 47th time in his Indy car career. 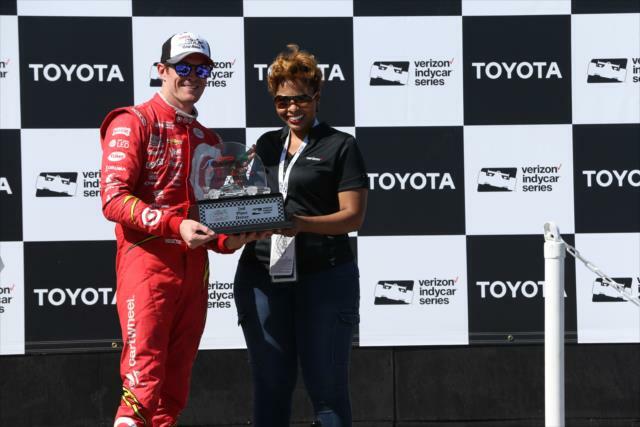 The front-running trio remained locked in a tight battle throughout the 80-lap event on the 1.968-mile temporary street course. 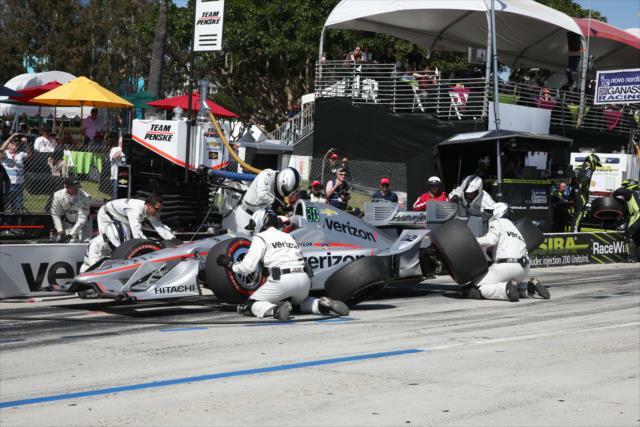 Castroneves led 47 of the first 51 laps until pitting on Lap 52. 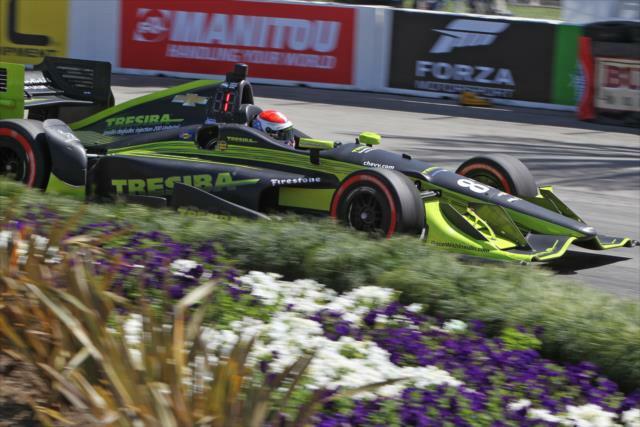 Pagenaud was able to stay out two more laps before making his final stop for fuel and Firestone tires, returning to the track just ahead of the charging Dixon and Castroneves. 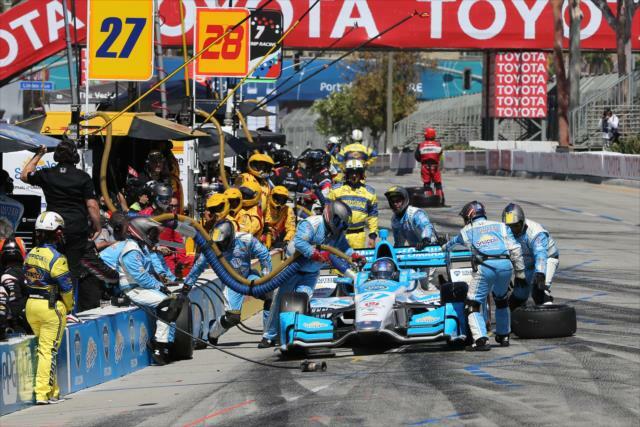 INDYCAR race stewards warned Pagenaud for improper lane usage exiting the pit. 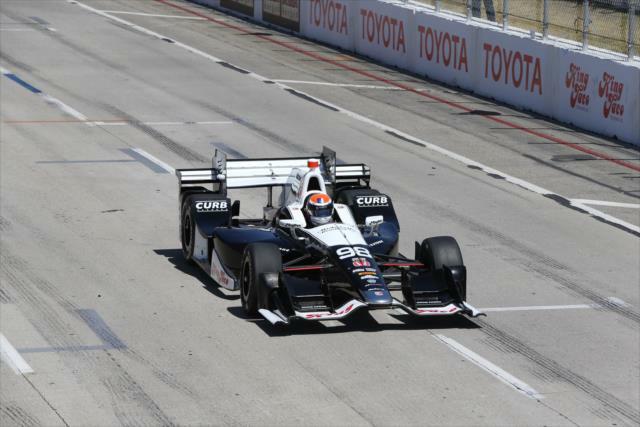 The Frenchman took the lead for good on Lap 56 when Charlie Kimball pitted in the No. 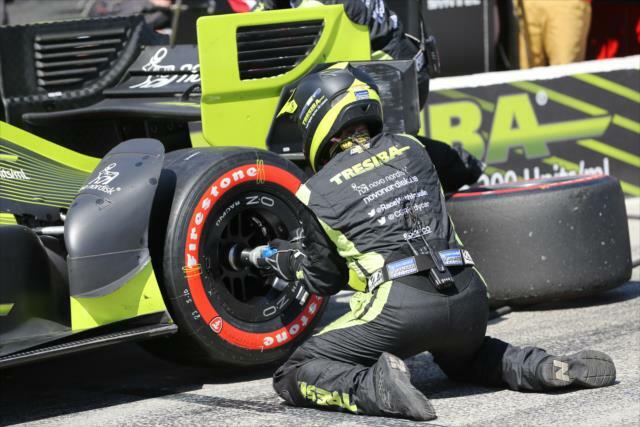 83 Tresiba Chevrolet. 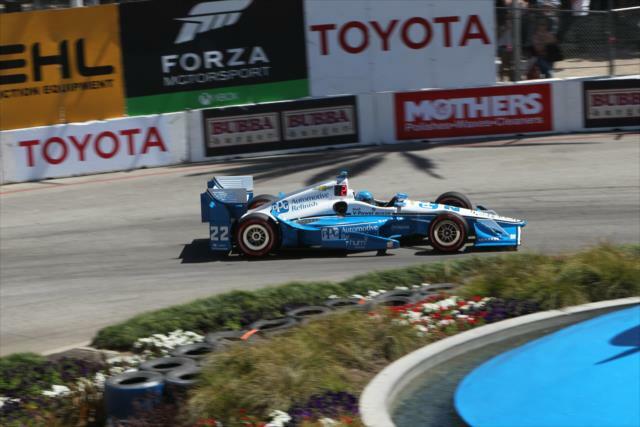 Pagenaud stayed out front over the final 25 circuits, despite encountering slower traffic at the end. 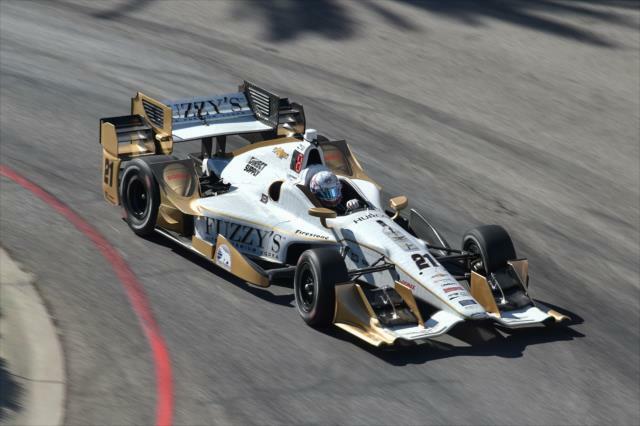 Dixon closed in heading into the Turn 11 hairpin on the final lap, but was unable to make a pass on the Shoreline Drive front straight. 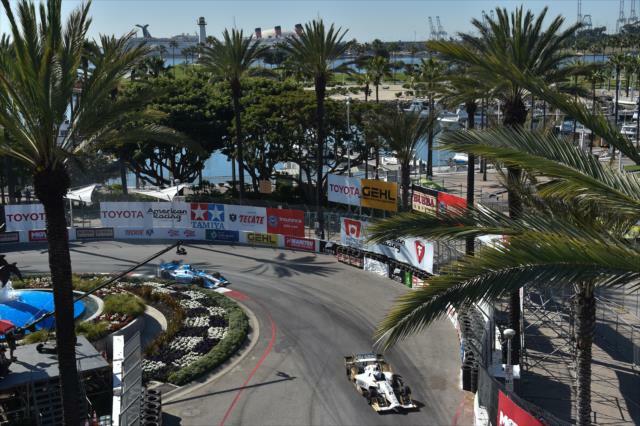 Pagenaud hung on by 0.3032 of a second, the closest finish in Long Beach history. 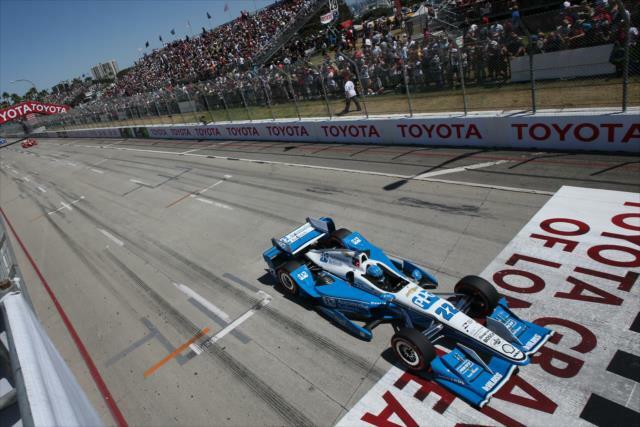 Pagenaud's average speed of 100.592 mph was also a race record. 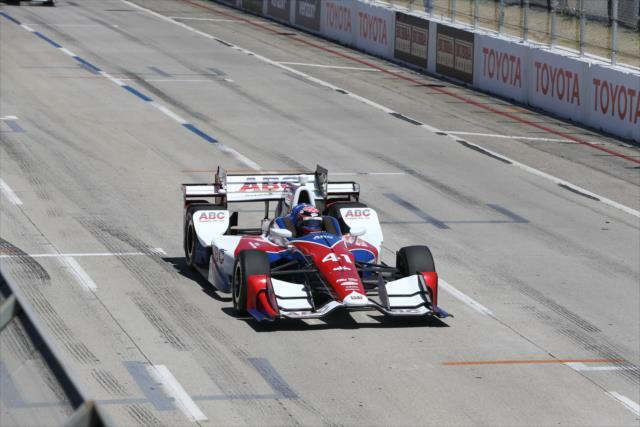 Castroneves finshed third, followed by the No. 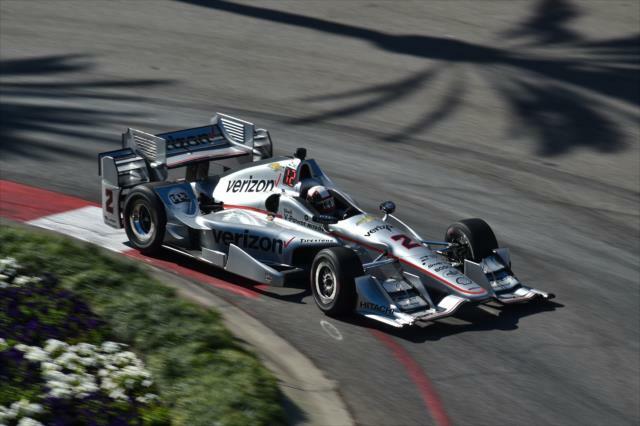 2 Team Penske Verizon Chevrolet of Juan Pablo Montoya and 2013 race winner Takuma Sato in the No. 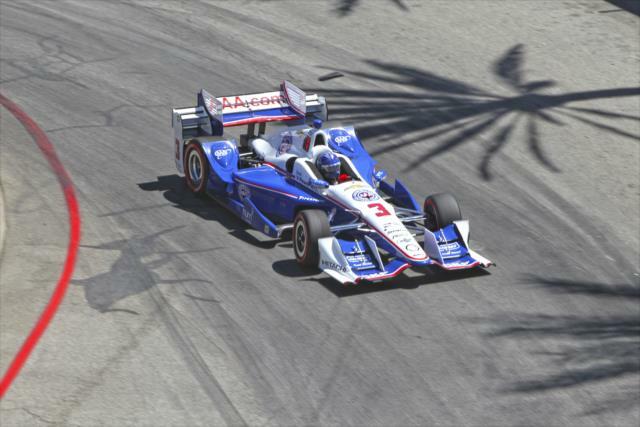 14 ABC Supply AJ Foyt Racing Honda. 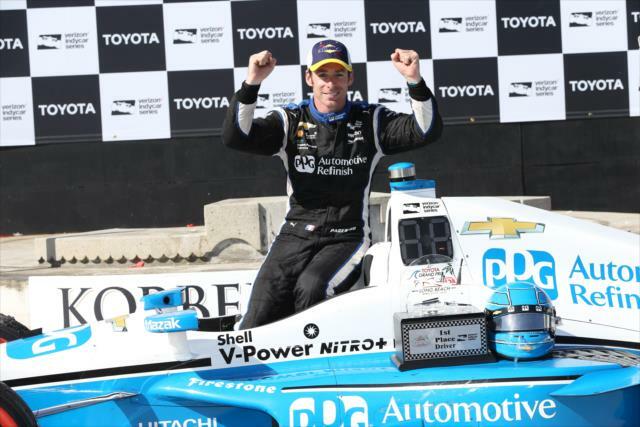 The victory was Pagenaud’s first in Indy cars at Long Beach, though he won two sports car races here. 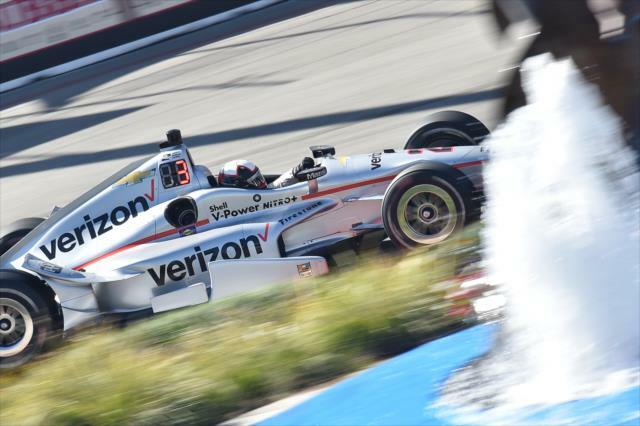 Team Penske has now six Long Beach wins, the last coming from Will Power in 2012. 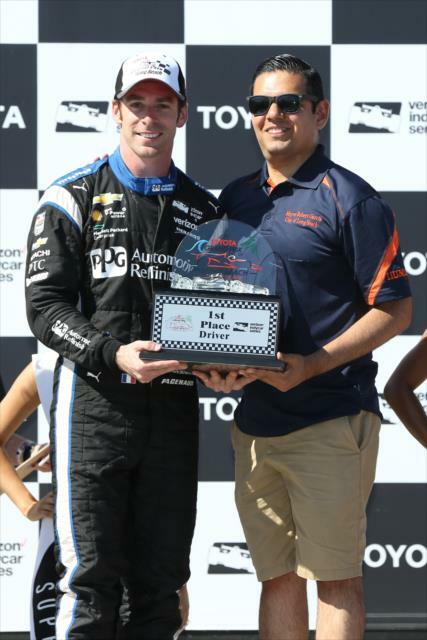 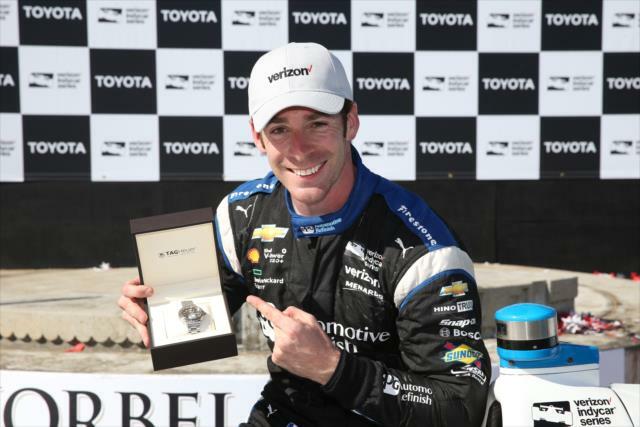 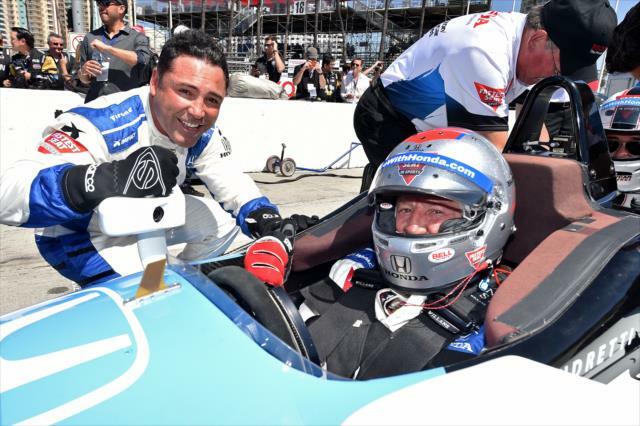 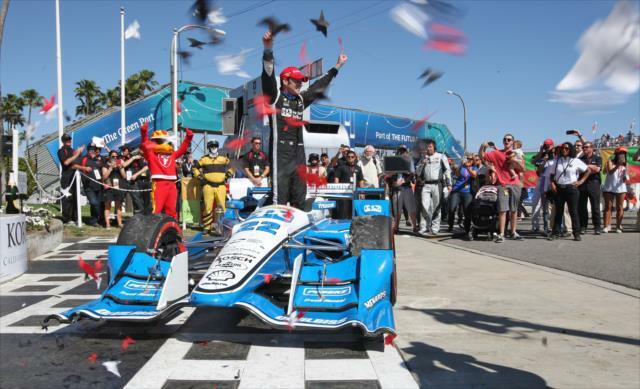 "Hats off to my whole crew, to Kyle Moyer, my strategist, as well," Pagenaud said. 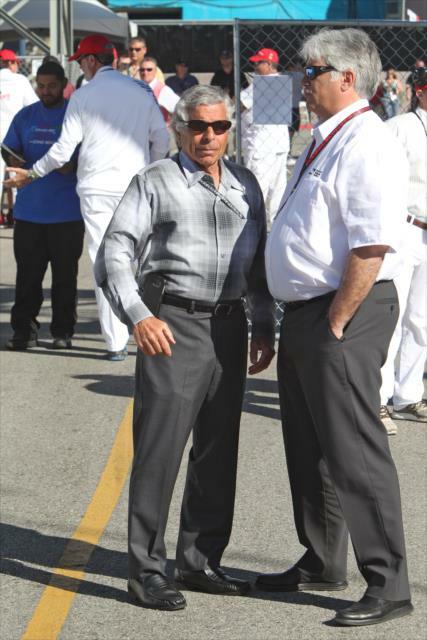 "The (No.) 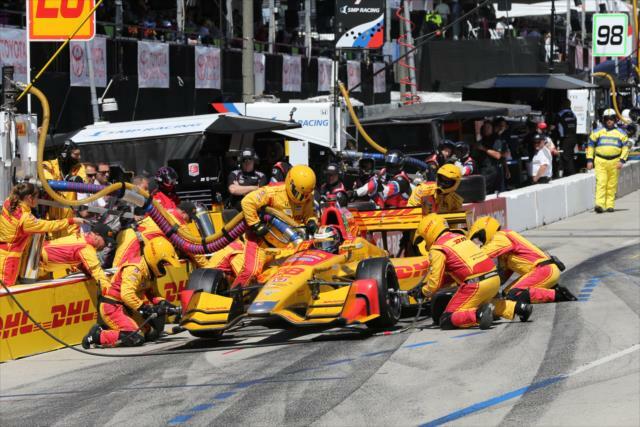 22 team is just on it this year, compared to last year. 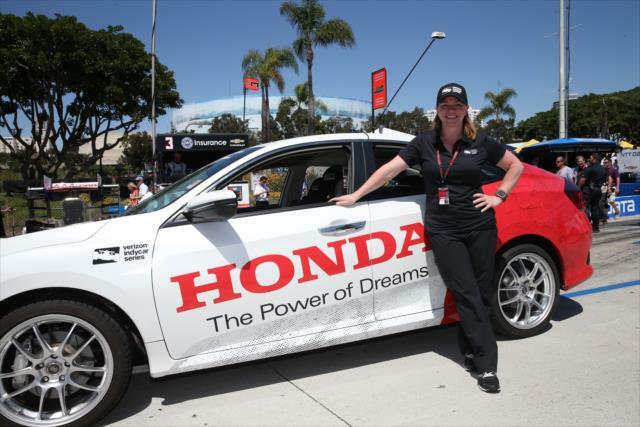 We've just gone a big step forward. 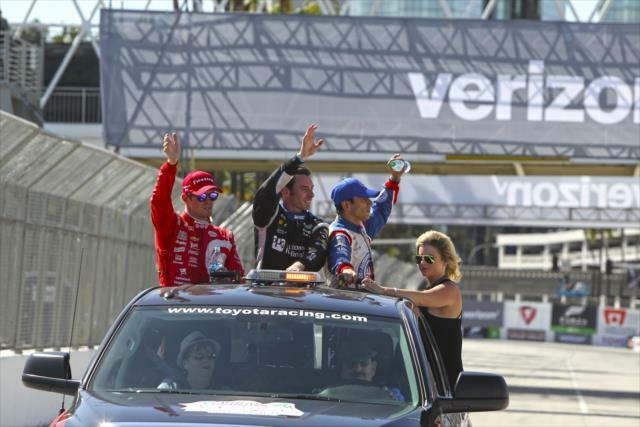 I believe there's some more to come, so it feels great, and everybody is just having a good time, too. 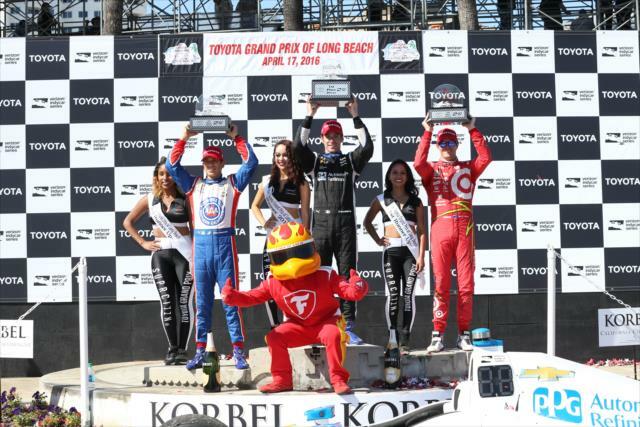 Great day." 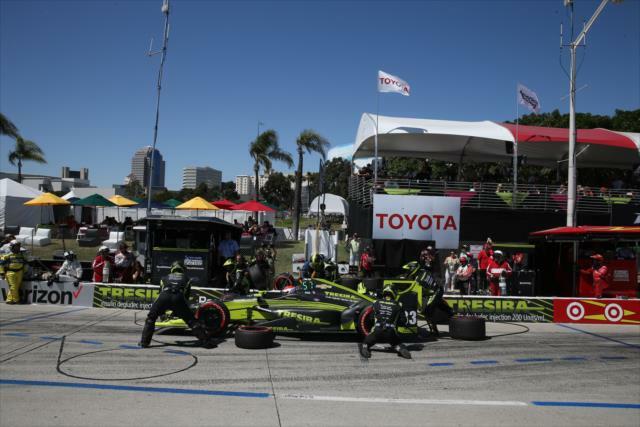 Dixon was disappointed Pagenaud didn't receive a more severe penalty for the pit lane exit, but accepted the runner-up finish. 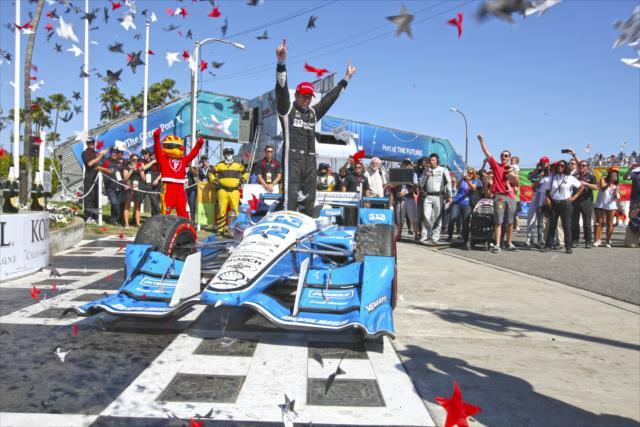 Pagenaud leads the championship after three of 16 races with 134 points, ahead of Dixon (120), Montoya (106), Castroneves (92) and Tony Kanaan (82). 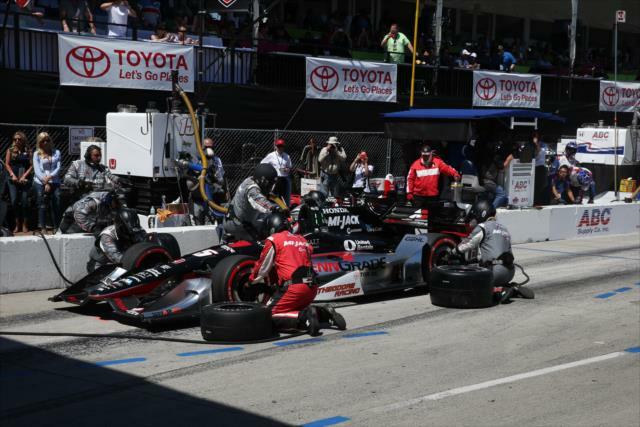 "It appeared Simon turned a little early and crossed the (pit exit) line that you’re not meant to cross," Dixon said. 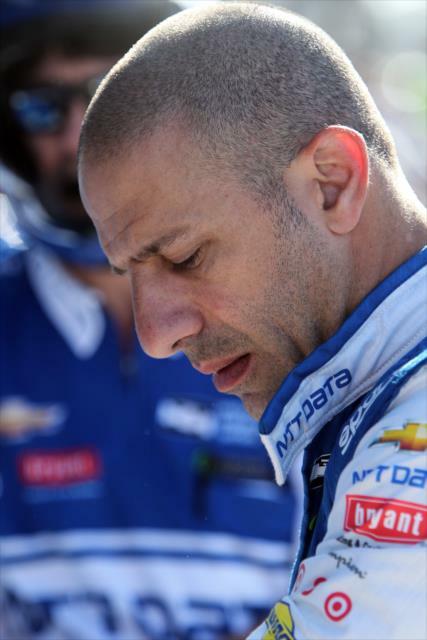 “It is what it is. 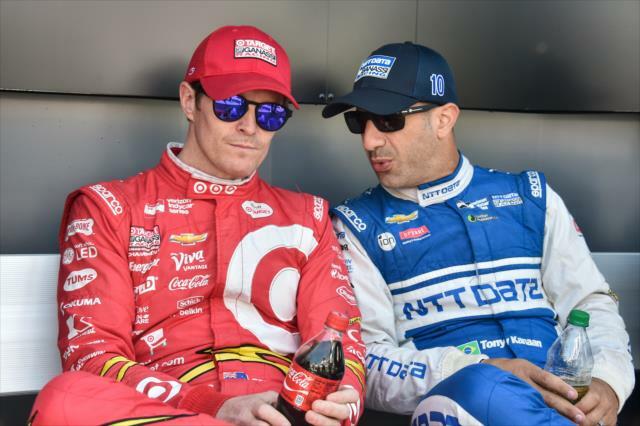 So second place today and Team Target did a hell of a job, and pit stops were clean, and I think we had really good pace." 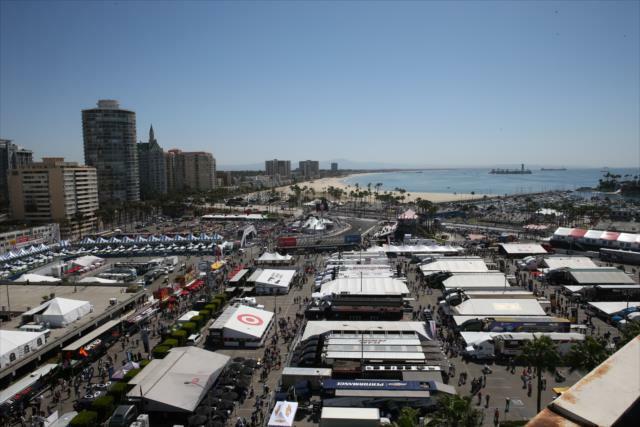 The race was the first caution-free event at Long Beach since 1989 and first caution-free Verizon IndyCar Series race of any kind since Mid-Ohio in 2013. 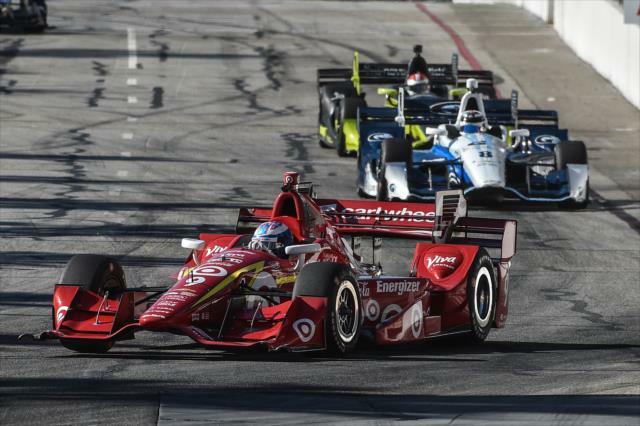 All 21 cars were running at the end of the race, the first time the entire field has been running at a race conclusion since the second race of the Texas Motor Speedway doubleheader in June 2011. 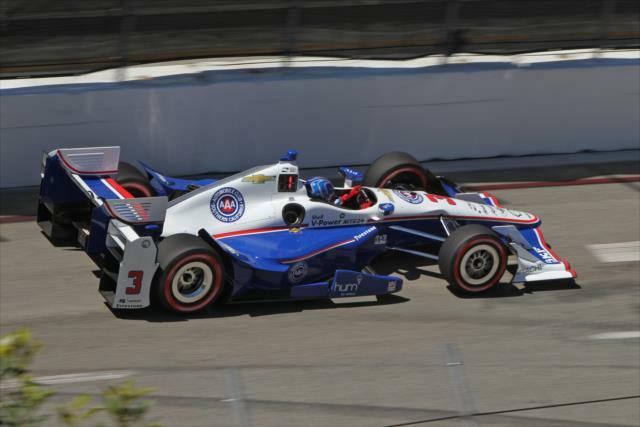 The chase for the Astor Cup heads to Barber Motorsports Park for the Honda Indy Grand Prix of Alabama. 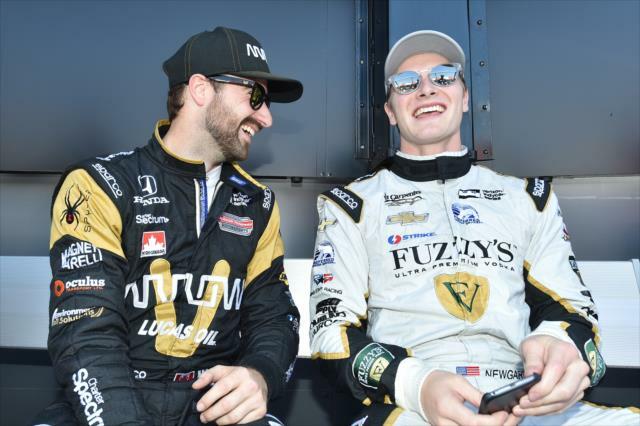 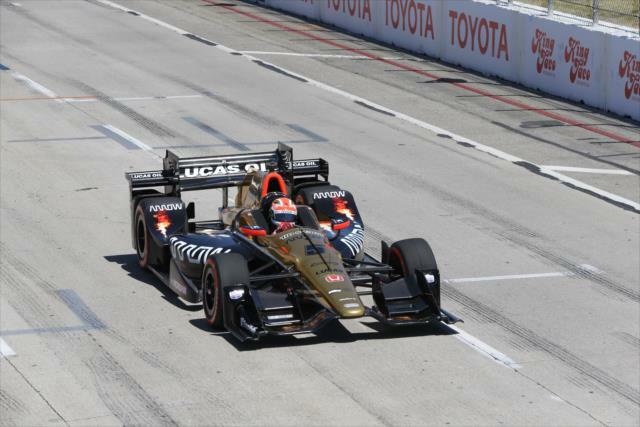 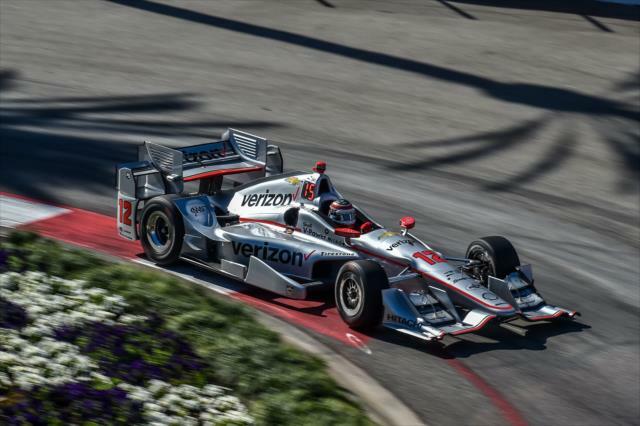 Verizon IndyCar Series practice begins at noon ET Friday, with qualifying the following day. 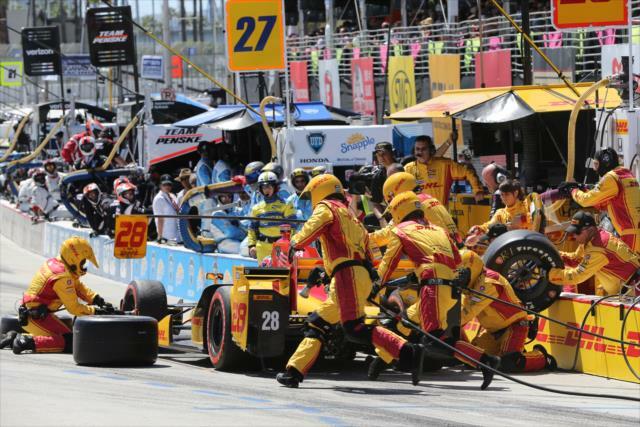 The series’ seventh race at the 2.3-mile permanent road course takes place April 24. 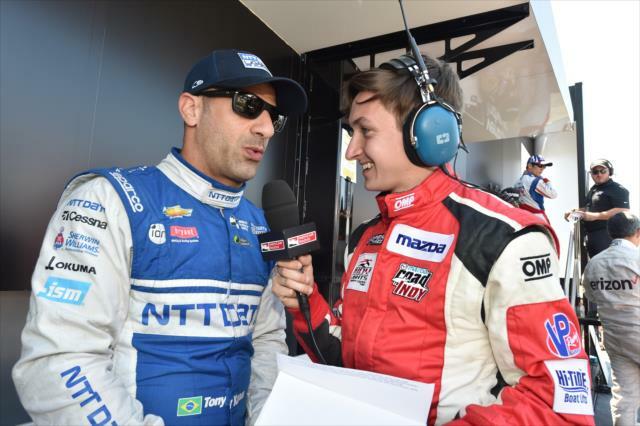 NBCSN will provide lives television coverage of practice at noon ET Friday, qualifying at 4 p.m. 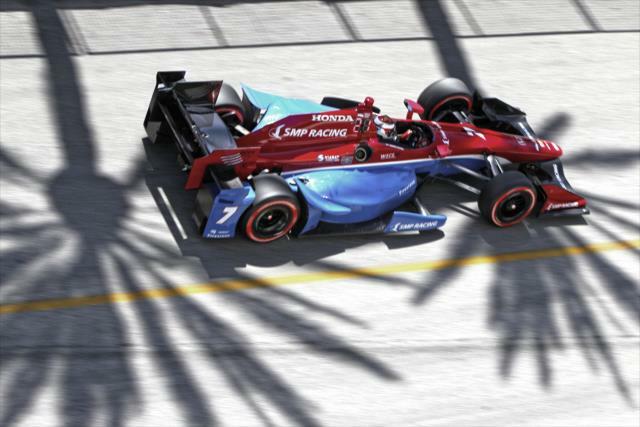 ET Saturday and the race at 3 p.m. 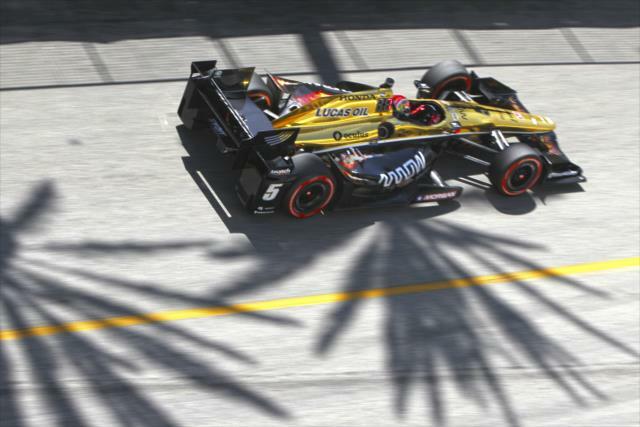 ET April 24.